Surround yourself with the perks of a city-centre stay and indulge in a luxurious overnight stay at the Suasana All Suites Hotel. Furnished with modern amenities such as custom-made bed mattresses with individually pocketed springs, ergonomic couches, and a balcony with skyline views, as well as complimentary Wi-Fi, the 1-bedroom apartment offers visitors a cosy nook to rest and recharge. In the morning, eager explorers can head out to explore Johor Bahru's many attractions such as the nearby Komtar JBCC and City Square. 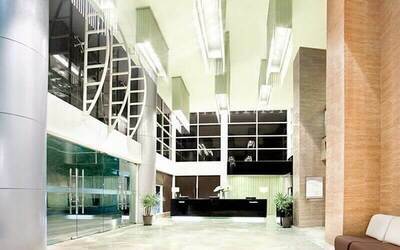 1-night stay in Suasana All Suites Hotel for 2 people (1-Bedroom Apartment). One (1) discount coupon for up to RM20 off massage servies at Ease Wellness (max. 1 coupon per customer; self-collect at reception). Discount coupon is valid from Mon - Thu: 11am - 5pm. Max. occupancy: 2 guests per room. All bookings must be made by Apr 23, 2019 and at least 7 working days prior to check-in.